Against all Odds is about the drama of battle against impossible odds, a fascination as much covered by oral histories, sagas and poetic ballads in the past as in contemporary writing and film today. The aim is to recreate military history using personal accounts, maps and illustrations to portray the visceral experience of battle as experienced by combatants themselves utilising a ‘Then and Now’ perspective. Eye-witness accounts illustrate battle dwelling on descriptions that concentrate on all those basic human emotions at play: sight, sound, smell and touch to interpret and recreate a ‘feel’ for the experiences described. ‘Stands’ are identified at each battlefield where readers can position themselves and read contemporary descriptions of what happened to soldiers at that precise spot during the battle. ‘Battlefield Detective’ articles expose the latest scientific and archaeological findings to debunk myths or offer forensic investigative comment on what really happened. How Hollywood screened these battles is reviewed with an eye for their authenticity and historical accuracy. The series is designed to appeal to the uninformed or less committed magazine browser, who enjoys a historical novel or epic film. The format and style of this bookazine is a departure from the norm for many established military-history enthusiasts. 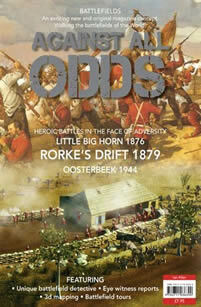 Three battles are examined in Against All Odds. 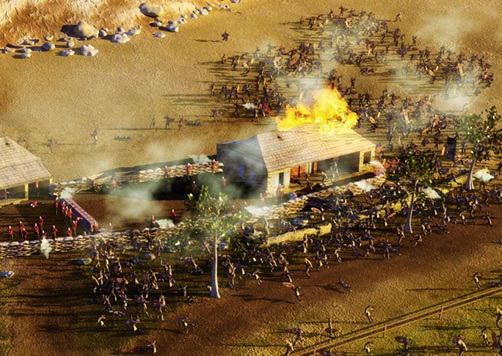 Custer’s Last Stand deals with his epic defeat at the battle of the Little Bighorn in 1876; the heroic defence of Rorke’s Drift is set during the Anglo-Zulu war of 1879. The battle of Oosterbeek is the dramatic siege of a village in southern Holland cut off by the Germans after the failure of British paratroopers to take and hold the Arnhem Bridge in September 1944. All the chosen episodes are especially iconic and often portrayed in popular novels and films because but for chance rescue could have gone either way. It is the uncertainty that makes the stories so arrestingly appealing. A short introduction outlining the conflict setting is given for each of the three actions with a brief summary of the battle narrative. Subsequent comment deals with the typical experience of soldiers and their leaders, dwelling on the human aspect – what did they see, hear or feel? The main battle feature for this issue is Rorke’s Drift. 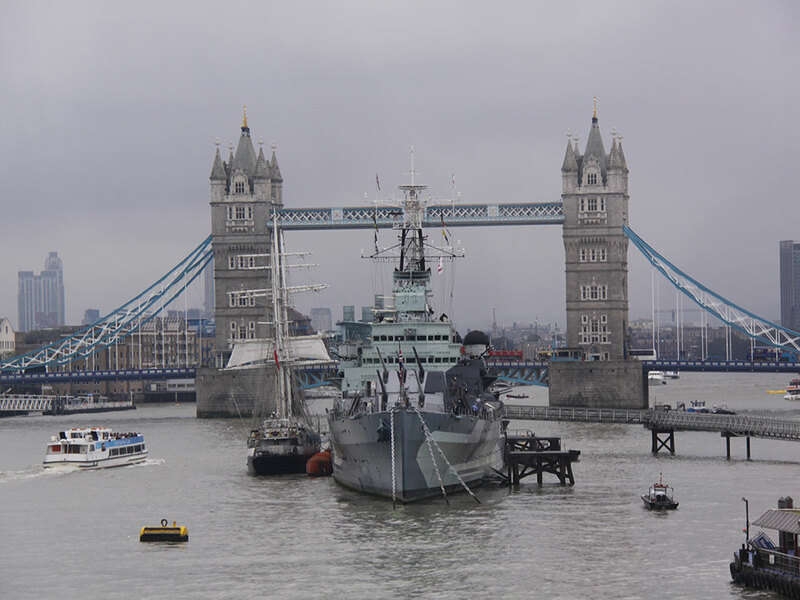 A pseudo eye-witness ‘tour’ of all three battles is conducted, but this one in more depth. ‘Positions’ are identified where the reader could travel to tour the battlefield and experience the Then and Now perspective at decisive points in location or time. At each stand a historical human narrative taken from the period describes what could be seen or experienced at that particular point as if by a modern war correspondent. Essential or interesting technical information is provided on weapons or tactics to explain the fighting. Maps and three-dimensional views provide the perspective needed to differentiate between then and now to best envisage how the action was fought. 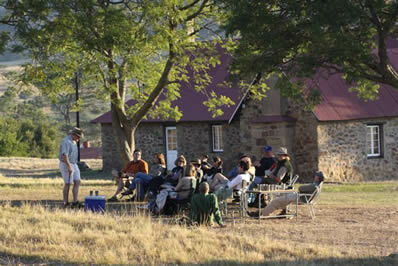 Information is given how best to visit the site, by foot or car with outline tourist guidance. Conflict introduction and battle narratives with maps and three-dimensional or top-relief battle diagrams. A portrait of the soldiers or combatants: how they lived in the field, everyday activities, core beliefs, battle experiences and posing the question: what was it actually like? Battlefield Stands provide a War Correspondent view of the battle, with maps to assist and point out where to go. A ‘battlefield detective’ element examining myths, recent finds and unusual facts. History according to the Movies reviews how accurate popular film portrayals have been.